What is going on, I wake up to check notifications and found out that one third of those I know are checking their notifications more than ten times per night. I was amazed and made my research and found out that more than half of the world Teenagers increasingly Lose sleep Through Their Mobile Phones. On a research record, 2,750 students aged 11 to 18 and looked at their use of mobile phones through the night and the impact of this on their health and well being. This, for me is not encouraging, so I decide that there might be some certain measures to be taken in place to help students and parents to tackle the issue of mobile phone-related sleep deprivation. 38% said they would be curious to know what’s happening. 10% said they would feel stress over missing out. Of the students surveyed, 68% admit that using their Smartphone through the night affects their school work. 42% keep their phone next to their bed and 25% feel tired during the day, because of their overnight mobile phone use. In schools, students often report that they are exhausted, with sound and LED notifications, disturbing their sleep as they are tagged in posts and get updates on comments. The effects of mobile phones on teenagers have been documented by Cambridge University. A study looking at 800 14-year old students who spend an extra hour on their mobile phones will see a fall in grades on two GCSE subjects overall, by the age of 16. Two hours of additional usage sees a drop of grade in four subjects overall. Scientific research suggests that parents should avoid screen viewing from the early life of their children. This can lead to a lifelong habit that causes changes in the brain and may even affect lifespan. The research indicates that an addiction is created, and like other addictions, this results in the release of dopamine, the neurotransmitter known as the pleasure chemical. Dopamine is produced when something new or interesting is encountered, and when dopamine is produced everyday for many years, children become dependent on screen media. Ways to avoid mobile phone sleep deprivation This Year. Stop audible and LED notifications – This can be done easily on an Android device by going to settings followed by ‘Sound & notifications’, ‘Do not disturb’ and ‘Schedules’. Here do not disturb times can be set for the weekends and weeknights. Night shift mode – At night, this Apple feature removes the blue light emitted by mobile phone screens. Blue light suppresses the secretion of the melatonin hormone, which makes people feel sleepy. 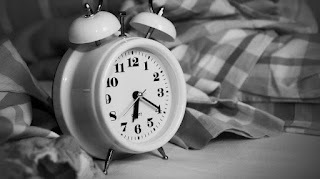 Bedtime routine – Refrain from mobile phone screen time 90 minutes before bedtime and instead partake in another activity, such as reading a book or having a bath. Disconnect – Switch your phone off or don’t take it to bed.